And so World Breastfeeding Week has come to a close. Its aim was to celebrate and raise awareness of breastfeeding. It’s fair to say that awareness hasn’t been a problem this year; it seems that plenty of people have had something to say about the heightened number of milk-drunk baby pictures filling up their Facebook news feeds. It seems that plenty of people have had something to say about the personal breastfeeding stories that so many women have shared. It seems that plenty of people have had something to say about a whole 7 days being allocated to celebrate breastfeeding. But of course, not all of these opinions have been quite as positive as we would have liked. Because it’s a picture of a baby. This is a good thing. Because it’s a story of a mother’s struggle, perseverance, triumph and pride. This is a good thing. Because it’s a week set aside to celebrate something healthy and natural. This is a good thing. And what better way to celebrate a good thing than to dance, right? Introducing the group of mothers and children who danced through the now-famous Cheltenham Brasseri Blanc, as a thank you and a tribute to the café’s supportive attitude towards breastfeeding. Just like a picture of a baby. Just like a story of a mother’s struggle, perseverance, triumph and pride. Just like a week set aside to celebrate something healthy and natural. Because these are good things. I’ve said before, that you don’t need to be lactating to support breastfeeding; my own good thing doesn’t negate anybody else's experiences or stories. So as we bid farewell to the 7 days allocated to celebrate breastfeeding, I personally pledge to continue my celebrations. Even when my daughter is grown and my breasts no longer make milk. Even when I no longer need my unstructured bras, my nursing pads or my breast pump. Even when our night feeds are wrapped in rose-tinted hindsight and I start to refer to my sleepiness as 'tiredness' instead of 'exhaustion'. Yes, my breastfeeding celebrations will continue. So keep on nursing, mamas, even if nobody seems to be cheering you on. Keep on celebrating, even if it feels like you're dancing to the beat of your own drum. Because you're not alone; I'll be right there, with millions of others, dancing beside you. 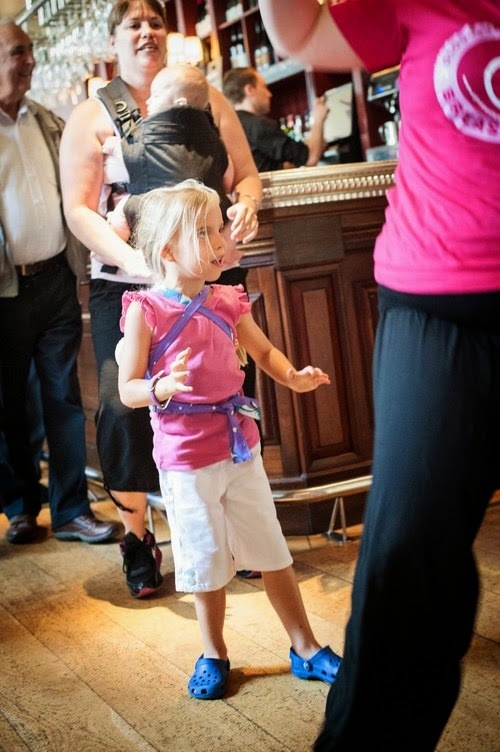 Dancing brought to you by Gloucestershire Breastfeeding Supporters' Network, Gloucestershire Welcomes Breastfeeding and Sling Beat!